Abdulláh Mubárak has related a very interesting dialogue between himself and Bibi Fizza. On hearing this I realised that, because we were not husband and wife, it was unlawful for both of us to ride the camel. The sons understood their mother’s hint and paid me well. Bibi Fizza (ra) had come from Abyssinia to Arabia as a slave. 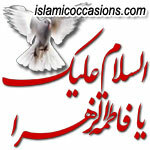 She was freed by Holy Prophet Muhammad (saw) and afterwards served Bibi Fatimah (sa) as her maidservant. 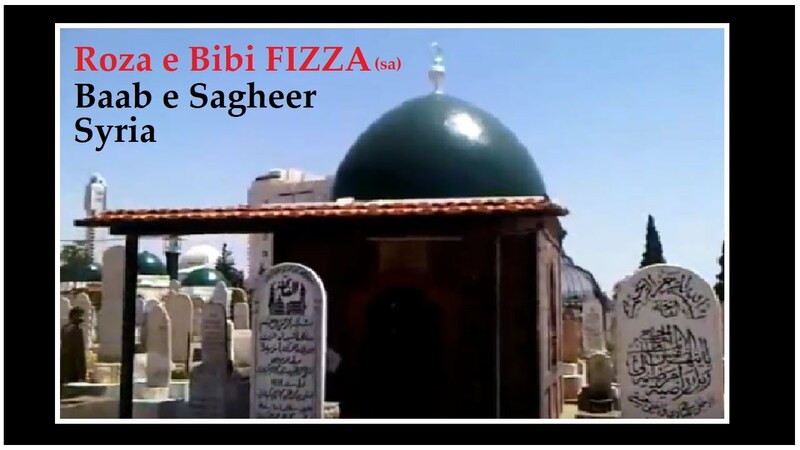 Bibi Fizza (ra) was only 11 years of age when she came to serve Bibi Fatimah (sa). It is believed that she knew how to make Gold and she also knew Noble Qur’an by heart. Bibi Fatimah (sa) divided her house work equally between herself and Bibi Fizza (ra) and they would take turns to do the chores. She remained faithful to the household of Ahlul Bayt (as) and even accompanied them to Karbala and the prison of Sham. She also had the honour of taking part in the “Three Days Fast”. Once, when Imam Hassan (as) and Imam Hussain (as) fell sick, Holy Prophet Muhammad (saw) suggested that Imam Ali (as) make a vow (Nazr) to fast for three days when the children recovered. When they were better, Imam Ali (as), Bibi Fatimah (sa), Imam Hassan (as), Imam Hussain (as) and Bibi Fizza (ra) all fasted to fulfill the vow. However, on each of the three days, when they sat to break their fast, a hungry person called at their door. The first said he was poor, the second said he was an orphan and the third said he was a freed captive. Each time, the big-hearted members of the house, including Bibi Fizza (ra), gave away their food and broke their fast with water. In praise of this selfless action Allah (SWT) revealed the 76th Chapter Ad Dahr (Surah al-Insan) of the Noble Qur’an. I learned that she expected me to greet her and say “Assalaamu Alaykum” first, before any question. I did as she reminded, and then enquired why she was in the desert. I asked her how many days she had been traveling. Bibi Fatimah (sa) was Prophet Muhammad’s (saw) most loving daughter. 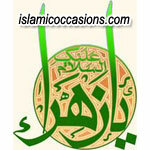 Bibi Fatima Zahra (sa) used to help out Prophet Muhammad (saw) in most of her daily affairs. She had this feeling that she should be the first woman to enter the paradise. However, she had a grain of doubt. Unless Prophet Muhammad (saw) himself assured her, she would not believe it. She was eagerly waiting for an opportunity to know the reality from her father, Prophet Muhammad (saw). One day finally when they were chatting together and both were in high spirits; she could not resist her eagerness anymore and enquired from her father as to who would be the first lady to enter the heavens. 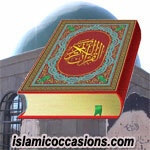 Prophet Muhammad (saw) was perplexed and was in two minds whether to disclose the truth. Finally he revealed the fact that one woman; wife of a woodcutter and living close by would be the one to enter the paradise first. Bibi Fatimah (sa) was shocked and was almost in tears. But Prophet Muhammad (saw) consoled and sympathized with her and asked her to visit the woman at the earliest. The very next day Bibi Fatimah (sa) visited her, not only to chat with her but also to assess her and to find out as to in what ways she (woodcutter’s wife) was superior to herself. She knocked on the door. Hearing a female voice, the woodcutter’s wife, without opening the door, enquired as to who she was? Bibi Fatimah (sa) replied that she was so and so and the daughter of Prophet Muhammad (saw). Immediately the woodcutter’s wife replied, I am sorry I cannot admit you since I have not taken permission from my husband. I would suggest you to come tomorrow, by that time I would take permission from my husband. The next day almost the same time, Bibi Fatimah (sa) intentionally carried her kid Imam Hassan (as) with her and knocked at the door. When asked as to who she was, Bibi Fatimah (sa) replied that she was so and so and she was accompanied with her kid Imam Hassan (as). Promptly came the reply that I am sorry my husband had permitted to let in only yourself and how can I admit two of you, so it is better you come tomorrow. The next day Bibi Fatimah (sa) accompanied by two of her kids Imam Hassan (as) and Imam Hussain (as), visited the woodcutter’s wife and knocked at the door and requested the women to open the door and that she is accompanied by two of her kids. The woodcutter’s wife was jubilant and opened the door instantly saying that her husband has permitted her to open the door to anyone and any member from Prophet’s family and it is a great honour for her. They sat together and chatted for sometime and during that process Bibi Fatimah (sa) was able to glean the various humane and Islamic qualities in the woman. Bibi Fatima Zahra (sa) was very much satisfied with all that she noticed and returned home to report the matter to her father, Prophet Muhammad (saw). Prophet Muhammad (saw) said to Bibi Fatimah (sa) that when you enter the heavens through the main gate riding on a horse, you will find that woodcutter’s wife is holding the reins of the horse in front of you. That means the woodcutter’s wife will be the first woman to enter the heaven. So Umm Salamah and her husband left and spent the whole day together. When they got home and put away the groceries, Umm Salamah thanked her husband for being so kind as to come with her. (1) “When we got in the Van, you let the car across from us go first while watching that no car was coming from behind and you signaled him to go. (2) “When we reached the stop, you signaled for people to cross the street saying that this way you protect them at least when you are at the stop sign because most drivers don’t care about people, they just want to be on their way. (3) “On the freeway you signaled the trailer trucks when you were letting them take the lane and slowed down to give them space to change lanes, saying that they had a delivery to make on time and that you had all the time in the world. (4) “When we arrived in the store parking lot as you went to take a spot, someone else just swiped in front of you and we had to go all the way to the back. You never got angry. You said, “Well, maybe he has sore legs and needs to be closer,” and you laughed. (1) Bibi Fatima Zahra (sa) gave her new marriage dress to a poor person and wore her old dress instead, in the wedding. The next day when Prophet of Islam, Hazrat Muhammad (saw) asked why she was wearing an old dress, she replied that she gave the new dress to a poor person. Can we get such example of kindness anywhere? (2) Bibi Fatimah (sa) and her whole family remained hungry for three days but offered the evening meals after three long days’ fasting to the beggar, the orphan and the prisoner. (3) Bibi Fatimah (sa) was so kind to her servant Bibi Fizza (ra), that Bibi Fizza (ra) worked one day and the other day Bibi Fatimah (sa) would work so that Bibi Fizza (ra) could rest. Such example of kindness can only be found in the family of Prophet of Islam, Hazrat Muhammad (saw), Ahlul Bayt of Naboowah.